However, they were also characterized as, “stretched useless, unsightly, offensive swamps, perpetually breeding mosquitoes and always a menace to public health and welfare”. The Kewalo Reclamation District included the area bounded by South Street, King Street, Ward Avenue and Ala Moana Boulevard. They filled in the wetlands. As the area grew and developed, so did the need for public facilities. In 1909, Governor Frear helped pass the “Act to Provide for the Establishment of the Public Library of Hawaii”. On May 15, 1909 the Honolulu Library and Reading Room and the Library of Hawaiʻi signed an agreement by which the former agreed to turn over all books, furnishings and remaining funds to the latter. The building’s final location, though, had not been selected. Several possible sites were considered. Ultimately, Governor Frear made a lot available on the corner of King and Punchbowl streets. The site he picked had been purchased in 1872 from Lunalilo and transferred to the Board of Education. In 1874, the government-supported Pohukaina School for Girls was built on the site. Just up the street was the Royal School for Boys. In order to accommodate the new Library of Hawaiʻi, after 36-years at King and Punchbowl, Pohukaina School was relocated to Kakaʻako on the reclaimed land. Pohukaina School was moved to Kaka‘ako, within the city block bounded by Pohukaina Street, Keawe Street, Halekauwila Street, and Coral Street; the new school opened in 1913. 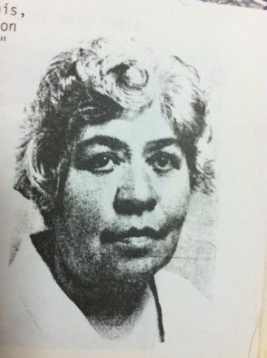 One of the teachers at the Pohukaina School was Margaret Waldron. Mrs. Waldron taught at Pohukaina for 18 years until her retirement in 1934. They called her Mother Waldron. Margaret Waldron died on May 8, 1936. The following year, when a new 1.76-acre playground was constructed across Coral Street from Pohukaina School, the Honolulu Board of Supervisors authorized the park’s designation as “Mother Waldron Playground.” The playground, designed by Harry Sims Bent, was opened in September 20, 1937 on the site of the former County stables. In 1933, Bent was chosen as the park architect for the City and County of Honolulu. Most playgrounds in the early twentieth century consisted of large areas of pavement used to get children off of the street and had no aesthetic value. Bent’s design went beyond the modern level and into the realm of art deco, allowing for play, as well as contact with nature. His works at Ala Moana Park include the canal bridge, entrance portals, sports pavilion, banyan courtyard and the lawn bowling green. The Mother Waldron Playground includes a historic one-story comfort station, two basketball courts, a volleyball court, an open field and benches along the historic boundary walls. It features a painted brick perimeter wall, approximately 3-feet high, which zig-zags down Coral Street. Brick curbing and paving is used to further embellish the corner entries and delineates the sidewalk from the parking on the Coral Street side. The Mother Waldron Playground was then the most modern facility in the Territory. The following year, Lewis Mumford, the noted author and social scientist, was invited by the Honolulu Park Board to study the county’s parks and playgrounds. He noted the “spirit called forth in the Mother Waldron Playground.” Mumford defined that spirit exemplified by Mother Waldron Playground and other county parks. Pohukaina School remained in operation in Kaka‘ako until 1980, by which time it had developed into a special education facility. The buildings were demolished, and in 1981, the Pohukaina School special education program was transferred to the campus of Kaimukī Intermediate School. The image shows Mother Waldron (kitv). In addition, I have added other images in a folder of like name in the Photos section on my Facebook and Google+ pages.